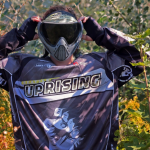 A Comprehensive Review Of Empire Paintball - Let's Take A Look! What Is Empire Paintball And How Does It Work? What Makes Empire Paintball Unique? Paintball is a recreational sport that is enjoyed all across the world. 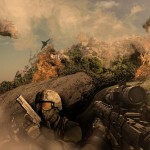 Involving teams or individuals pitted against each other, playing paintball requires snagging quality gear. 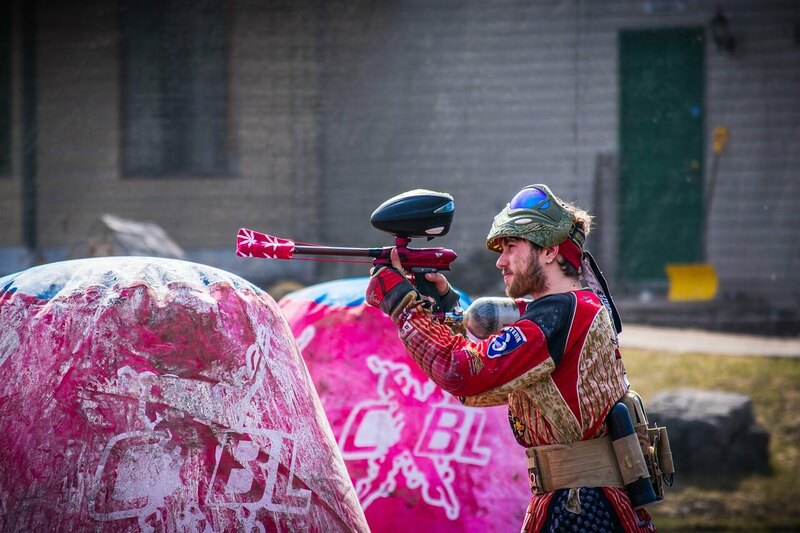 Before delving into a thrilling sport that can bring on some fun but intense moments, you'll want to check out Empire Paintball for your paintballs, guns, and more. Empire Paintball was founded in 2001 and is headquartered in Sewell, New Jersey. Boasting an annual revenue of $3.6 million, the privately owned company employees a little under a hundred people. Since playing paintball requires the use of strategy, adaptability, and mobility, you won't want your gear to weigh you down. As Empire is a leading manufacturer for paintballing, you can find a marker that is affordable, dependable and gives your paintballs some distance. 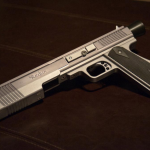 When purchasing a paintball gun, you’ll want to evaluate it for the following qualities. Empire might be the right choice of brand for your next paintball marker. Empire is a trusted American-based manufacturer of paintballs, markers, and gear for enthusiasts of the extreme strategic sport. Products from Empire can be purchased offline at various sporting good retailers or online. When reviewing various markers to select for playing a round of paintball, Empire products are often at the top of the list. 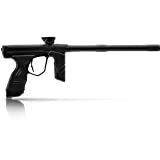 A marker from Empire will provide a player with a gun that is accurate, dependable, and set at a fair price for performance. Empire has stood out among the competition for seeking ways to push the sport of paintball. 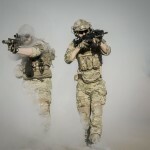 The company is responsible for releasing the first smart paintball mask, merging the integration of Internet-connectivity and paintball knowhow. 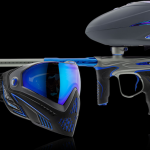 The Empire EVS was created following a collaboration between Recon Instruments and Empire Paintball. Thanks to ingenious integrated technology, the Empire EVS provides players with a display showing pertinent information. Players can actively keep track of teammate locations, ammunition, and field maps shown right below the user's field of vision. Similar to a linked-in video game involving multiple users, team members who wear the Empire EVS can improve their effectiveness and strategy during the game. Outfitted with Android OS, the Empire EVS includes Bluetooth, Wi-Fi, and GPS. 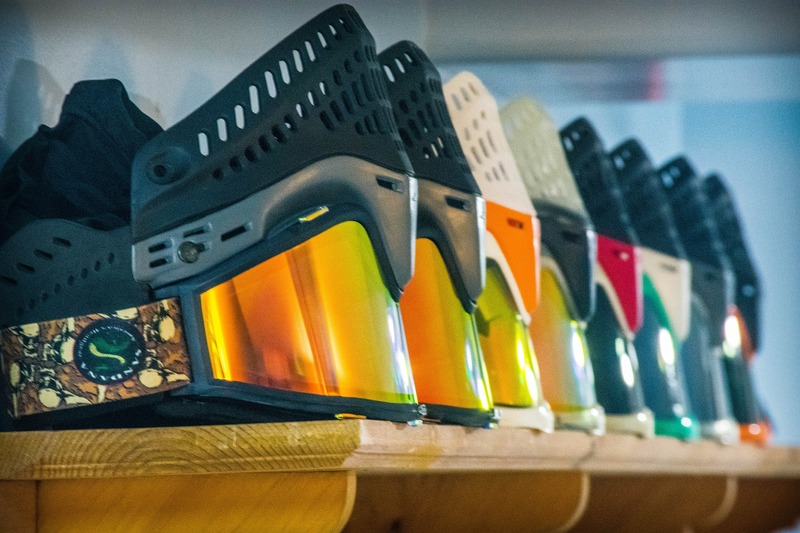 Unlike standard masks that are worn by paintballers, the EVS comes with a dual-pane lens which blocks UVA and UVB radiation, is scratch-resistant, and anti-glare. The design of the EVS prevents fogging, encourages balls to bounce, and is comfortable to wear. Thanks to companies like Empire, sporting players can finally enjoy wearable technology that helps give an upper hand over the competition. 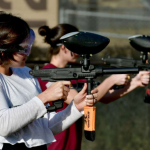 At Empire Paintball, players can pick up guns, paintballs, storage bags, accessories, and protective gear. A battle vest retails for around $62 to $70. Googles are priced between $30 and $500. However, most thermal googles sell for around the $100 mark. You can look to spend around $500 to $700 for an Empire marker that is electronic. The most expensive electronic marker retails for nearly $1,200. Mechanical and Pump style markers will be a bit more inexpensive, ranging from $150 to $500. 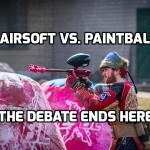 Depending on the level of gameplay, ranging from beginner to tournament for paintballing, paintballs will cost under $100. Empire is a respectable manufacturer that creates quality gear. Some companies may churn out markers, accessories, and gear that is less expensive. However, Empire provides nice stuff for a mid-range price. You won't break the bank, but you won't walk away with a piece of junk either. People trust Empire for creating markers that are accurate, durable, and offer great value for performance and required maintenance. As far as style and aesthetics go, Empire provides markers that have a good mix of form and function. You won't get the fanciest gear in the world, but it will fit the occasion and stand up to multiple tournaments and scrimmages for some time. 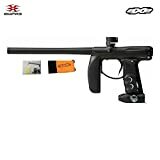 Regarding selecting a marker, there are two which currently stand out among the lineup of paintball guns retailed by Empire. Many paintball enthusiasts are familiar with the Empire Axe, which has remained a popular marker that players eagerly grab for games. Players like using the Empire Axe because it uses an all-aluminum body and only requires a small amount of air to push a projectile. The PSI is low, so when you take a shot, you won't startle players nearby, which be advantageous for strategy. If you like a higher powered marker, you may want to skip out on the Axe. However, Empire offers a 30-day warranty to try out the Axe and see if its a good fit for your gameplay. There are some downsides with this marker. The barrel is on the short-side, and the feed neck construction may give players some problems. Occasionally it may have some challenges with the consistency of air pressure. Firing modes for the Empire Axe include Semi-Auto, PSP-Ramping, NXL, and Millenium-Ramping. Some may consider this marker to have a heftier price tag, but it's well worth the investment for a marker that will prove dependable in the field for years with routine maintenance. The Axe is lightweight and is a little over 3 pounds, so you can cart it around for hours without feeling fatigued or stressed. Overall, the Axe provides a marker in a stable body, that comes with a switch to change up your firing selection for improved accuracy. Breakdowns are not likely to happen often with the Axe because of the aluminum construction, and the lack of excessive moving parts. The design is simplified and easy to handle. Take out opponents with nearly complete silence, as the low air pressure keeps things somewhat mute. The Empire Axe gives a player a marker that shoots fast, keeps them light on their feet for maneuverability, and requires simple maintenance. The springs may wear out after taking enough shots and be careful about buying an Axe used. Check to ensure there are no leaks when testing out the Axe before sealing the deal. The Axe will withstand long hours of gameplay even in the rain. Online sites like Amazon retail the Empire Axe for $344.95 with free shipping. Another top pick from paintball lovers is the Axe Pro. If you love paintballing in inclement weather, you'll want to have the Empire Axe Pro in your arsenal. There is a waterproof gasket as part of the marker's design, which is located around the battery door. This feature is a plus for a paintball marker because it reduces the chance that your batteries will fall out during gameplay, or get wet. 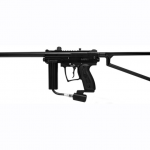 A push bolt system is conveniently designed into the paintball marker, so when you need to maintain and clean your marker routinely, it's easy. This paintball gun is manufactured for high reliability on the field and is not likely to fail on a player. 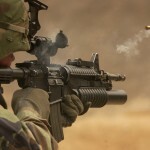 In addition to being built tough for durability, it is made for accurate targeting of opponents. Thanks to the bore size on the Empire Axe Pro, you can confidently hit more opponents frequently. The Axe Pro is not as lightweight as the Axe, but you'll still get silent shots hit with precision. The Axe Pro is not a bad looking marker, considering that it has an aesthetic treatment comparable to higher-end paintball guns. 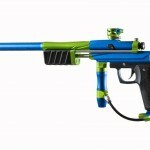 Depending on your selection of a paintball marker, Amazon will retail the Empire Axe Pro for $449.95. 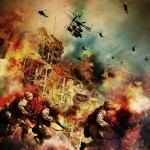 Empire is not the only manufacturer of paintball markers and related goods, but it is dependable and known for quality. There are other paintball companies which may offer higher or lesser quality of goods and function with their products. 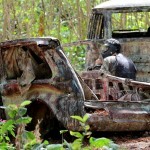 Consider well the differences before you make a final decision on who to trust for paintballing. Tiberius created ripples in the world of paintball when they released the first mag loaded marker. Aesthetics-wise, markers created by Tiberius have a militaristic feel. The paintball guns are loaded using a magazine holding 8 to 14 paintballs. Players who choose a Tiberius paintball gun are more keen on getting accuracy than pointing and spraying loosely at a target. Psychological warfare comes to mind with these markers. This paintballing company is on the side of beginners or people who are on a strict budget for their marker. 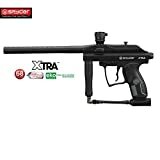 You can find a paintball gun that easily retails under the $200 price point but still offers effective shooting for a fun time. Spyder is typically a brand that marks a player as a newbie, but that competitive pricing is hard to pass up. Spyder has been around since 1992, so they know a thing or two about offering a modicum amount of performance for a semi-automatic marker. Planet Eclipse got its start in England in a retail store called Paintball Planet. Over time, the company cemented itself as a reliable source for quality and reliable markers and gear. 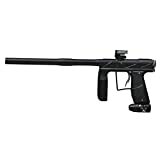 Planet Eclipse released the Eblade around 2002, and later released the Eclipse Ego, an electronic paintball marker. Tippmann Sports may be the largest manufacturer of paintball sporting goods in the United States. However, it doesn't mean that they are number one among the competition. Tippmann has been around since the 1980s, and it has been holding on since. 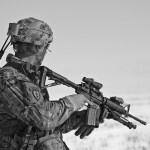 The company is known for creating paintball guns that are similar to military tactical weapons, and have created various upgrades to markers to reduce jams, improve triggering systems, and the feed of paintballs. Dye Paintball got its start from inside a humble garage in 1994 and was founded by Dave Youngblood. Today, the company is a leader in paintballing markers and other supplies. Dye Paintball has a reputation for building markers that are made to last a long time. They are a go-to choice for professionals in the sport of paintballing who enjoy fierce competition. Whether you are a noob to paintballing or a seasoned aficionado for the sport, Empire is a good brand choice for your markers, gear, and accessories. You won't be sacrificing quality for the price, and there is a wide enough selection of goods available to keep most paintballers happy. Other markers may require a little tinkering with to get comfortable using in the field. But with an Empire marker, you pretty much can get ready to fire off some rounds of paintballs right out of the box. As Empire is the only paintball company to offer a smart mask, that gives the manufacturer some brownie points for being forward thinking. Being able to get reliable and current information about what's going on during gameplay, player position, an ammunition count is vital. 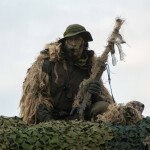 It can be difficult to read the signals and strategies of players when spread out over a terrain. Having a team outfitted with masks can prove to be advantageous for tournaments. Being able to take out a player at a long distance makes paintballing enjoyable, and Empire markers are made to do that quite well. Most markers are designed to be noiseless, efficient, are not heavy, and are reliable. You won't be overwhelmed by a marker from Empire because of an excess of bells-and-whistles or overcomplicated design. If you are serious about playing competitively, you may want to skip out on an Empire Paintball marker. However, if you are not amped about breaking the bank to invest in a heavy-duty reliable paintball gun, and enjoy paintballing right out of the box, Empire looks good. Consider well what features and handling you desire in your paintball gun, how much you want to spend, and how often you will play. Empire has provided a mid-level marker that is affordable, dependable, and easy on the eyes and wallet. Performance is not tanked for the price tag, but some models may be disappointing for the barrel size or the bore. If you are looking to score a deal on some markers, paintballs, or gear from Empire, you're in luck. 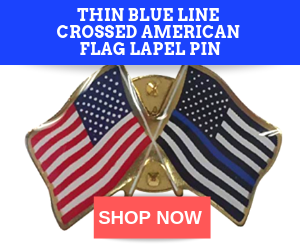 Online sites like RetailMeNot, CouponAnnie, PRM Deal, and Dealspotr all offer various deals ranging from free shipping, a set percentage off, or a free gift with select purchases. Certain coupons or deals may be tied into sells of Empire products through sources like eBay, Amazon, or Walmart.